During the past few months Palestinian journalists have been increasingly targeted by the Israeli occupation forces while doing their job. The numerous attacks on media freedom include assaulting, shooting and detaining journalists. 2013 witnessed many attacks on the press, and only in December of that year The Palestinian Center for Development and Media Freedoms (MADA) reported eight separate assaults and arrests of Palestinian journalists by the Israeli Occupation Forces. The Palestinian Journalist's Syndicate condemned the attack on photojournalist Yousef Shakarneh who was brutally attacked Saturday evening while shooting a report on the Palestinian workers who work in inside the Green Line in an area located near the Beitar Illit settlement, inside the Green Line when the assault took place. 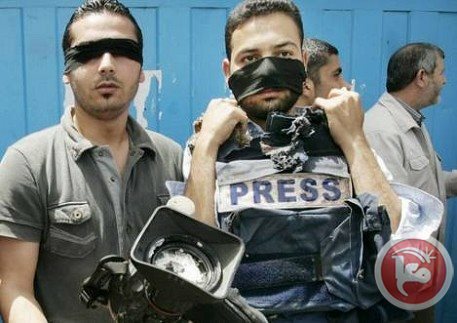 The syndicate accused the Israeli occupation forces of targeting journalists to try to conceal the truth. In response to the aggression, the Syndicate decided to organize a march today in Bethlehem in solidarity with Yousef and to protest the policy of targeting Palestinian journalists by the IOF. Mousa Shaer, member of the PJS Board said during the march that, "we are here to protest against the attack of our colleague Yousef Shakarneh by the Israeli Army few days ago. They attacked him in a very savage and tough way; they tried to break his bones and to smash his face. We consider these attacks are a policy of Israel." When asked what the international community could do in order to help stop these attacks, Shaer said, "We make a call to the international federation of journalists and other unions to take steps and to isolate the Israeli state due to their crimes against the Palestinian journalists, and for our freedom of movement and coverage in the occupied territories." He also asked for the Israeli journalists to raise their voices and to denounce their governments for these attacks against the freedom of the press. The march started in Bab al-Zqaq, in the center of Bethlehem, but later continued next to the 300 checkpoint that is located on the way to Jerusalem. Israeli forces closed the main gate of the checkpoint when the participants of the march approached the gate. The dozens of journalists that took part in the demonstration stood next to the checkpoint for about 30 minutes, in order to show their anger to the Israeli Occupation Forces but also to the international tourists crossing the checkpoint. Dr. Mahmoud Khalifeh, deputy general of the Palestinian Ministry of Information declared "We find that this incident is only part of a series of other incidents, which include the killing and detaining of Palestinian journalists. We have more than thirteen Palestinian journalists detained in Israeli jails." Osama Awwad, a journalist from Bethlehem said that, "we are here to stand and say that we are against the killing of journalists around Palestine. We are here to say that we have the right to cover the incidents in Palestine and to say the truth. My colleague has almost been killed after being assaulted by Israeli forces because he was filming a documentary about the workers and how they get to their work through the checkpoint." Abdul Nasser Najjar, Chairman of the Palestinian Journalists' Syndicate said, "Today we want to send a message to the Israeli occupation and to the world that the Palestinian journalists are in danger. We ask the international community to exert pressure on the Israeli government to stop their aggression of the Palestinian journalists and to cooperate with the Palestinian syndicate and the journalists. Dr. Mahmoud Khalifeh from the Ministry of Information said that the Palestinian Authority has taken some steps to put an end to these assaults, and declared that "we have already started contacts to track the IOF to international courts; we are receiving responses regarding this case. We expect to achieve something soon in this regard." Palestinian government in Gaza works to facilitate the work of Western media agencies in Gaza, Isra Almodallal, the spokesperson of Ministry of Information, said Sunday. In a meeting with the director of Residency and Foreigners' Affairs Office Nabil Samor , Almodallal to brief him on the obstacles face the western media in Gaza. She said that this step comes to facilitate the entry of western journalists to Gaza and strengthen the relationship between the government and the foreign press. She explained that it will be designed a database for the addresses of Foreign journalists , which will be inactive since it completed. Samor praised this step as it will make the movement and the work of foreign journalists in Gaza more easier. He made clear that it will be issued a six-month entry permits for Western media agencies, pointing out that they will be offered facilities to carry out their works easily. The Israeli occupation forces (IOF) continued last night and on Sunday morning its daily arrests in different West Bank areas and kidnapped three Palestinian citizens. Palestinian security sources in Al-Khalil city told Quds Press that the IOF kidnapped a young man identified as Saeed Al-Aweiwi at a checkpoint near Bani Na'im town and another one named Saddam Abu Sunaina in Tel Armideh area. Other local sources in Beit Ummar town of Al-Khalil told Quds Press that Israeli soldiers severely beaten last night a young man identified as Ahmed Abu Ayyash, and then took him to an interrogation center in the nearby settlement Kiryat Arba. In another incident, the IOF detained for several hours a Palestinian authority policeman along with other young men at a checkpoint near Al-Fahes area in Al-Khali before releasing them. 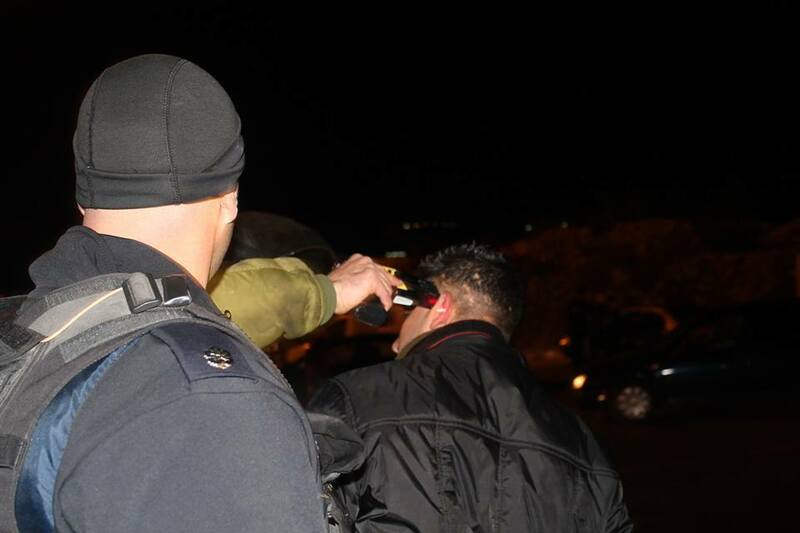 In Bethlehem, Israeli soldiers physically assaulted a Palestinian photojournalist named Yousuf Shakarna as he was making a televised report near Beitar Illit settlement. He was transferred to hospital for medical treatment. Israeli soldiers assaulted a Palestinian photojournalist while he was filming a documentary in the village of Wadi Fukin, southwest of Bethlehem on Saturday, family members told Ma'an. Joseph Shakarna was filming a documentary about the plight of locals who work inside Israel when soldiers assaulted him, causing him bruises and injuries all over his body. Shakarna was subsequently transferred to al-Yamamah Hospital following the attack. The Palestinian Journalists Syndicate condemned the attack on Shakarna and accused Israeli occupation forces of "targeting journalists to try to conceal the truth." The union said in a statement to Ma'an that it would file a formal complaint to international authorities about the incident. An Israeli military spokesperson said they were looking into the incident. A new Access to Information law draft is now published on the Council of Ministers and the Anti-Corruption Commission's WebPages for public discussion "to gather any proposals that can enrich and develop the law to meet the aspirations of all segments of the Palestinian society", a notion welcomed by the Palestinian Center for Development and Media Freedoms (MADA) because it confirms the government's desire to enrich the draft through Public participation. Mousa Rimawi the general director of MADA stated that this notion indicated a firm desire by the Palestinian government to approve the law in Palestine, which is consistent with the global trend to enact laws that entrench Human's right to knowledge, which leads to effective participation by citizens in public life, and enhances transparency and integrity. Today there are 100 countries worldwide that enacted an access to information law, most recently were Bhutan, the Maldives, and the Ivory Coast according to sources by the international network of advocates for freedom of information, which points to the attention of governments in different continents to the human's right to knowledge, and are enforcing it in laws that guarantee citizens access to information by specific measures, yet only three Arab countries has enacted such law, and they are Jordan, Yemen and Tunisia. The Republic of Malawi and the Philippines are witnessing actions by activists who defend this human right opening the way for the adoption of an access to information law in their countries. Palestine as well has witnessed groundbreaking actions specially by MADA, where we drafted a new Access to Information Law in partnership with The Geneva Centre for the Democratic Control of Armed Forces DCAF, after conducting a study, followed by a broad discussion through meetings, workshops, and a national conference on 9th October 2012, in which journalists, civil society organizations, governmental institutions representatives, local and international experts have participated. MADA formed a legal committee to draft a law that meets with international standards. The law drafted was based on the draft submitted to the Legislative Council in 2005, and they took into consideration the national conference recommendations, the study prepared by MADA portraying the reality of access to information in Palestine, the recommendations offered by journalists who participated in the workshops throughout the year in the West Bank and Gaza Strip, the AMAN (NGO) amendments, and a study by Internews. MADA in partnership and DCAF held another conference to discuss the new draft access to information law, on Sunday 16th December 2012 in Ramallah city. Legal and human rights activists, representatives of civil society organizations, security officers, and international experts all praised the right of access to information draft law, compiled by the Palestinian Center for Development and Media Freedoms (MADA), and confirmed its compatibility with international standards on the right to access to information. MADA also had officially handed a memo to the Legal Affairs Department in the Council of Ministers. The memo demanded for the inclusion of the draft law in the 2013 legislative plan. The head of the department Mr. Fawaz Abu Zir promised MADA to include the law on the legislative plan agenda. On 5 December 2012, MADA launched a campaign "Information is power" to promote the new draft and the importance of the law. MADA Media Campaign has drawn attention of the Media outlets and Palestinian society. The campaign included visits to Ministries and government official's offices to promote the law and gather supporters among politicians and government officials. MADA has met with both the Former Prime minister Dr. Salam Fayyad and the new Prime Minister Dr. Rami Alhamd Allah. Then a committee was formed by General Secretariat of the Council of Ministers and the Anti-Corruption Commission to review the draft law, which included representatives from the different Ministers and government bodies, the Civil Commission to strengthen the independence of the judiciary (Istiqlal), and a representative of the Palestinian Center for Development and Freedoms Media (MADA), and it held its first meeting on the fourth of November, followed by a series of intensive meetings to complete the new draft. A new enriched draft of the Right to Information law was produced "based particularly on the law drafted by MADA", after extensive discussions over weeks by the committee, which was then delivered by Mr. Rafik Natsheh head of the Anti-Corruption Commission to the Prime Minister, Dr. Rami Alhamd Allah in late December 2013. MADA calls all Palestinian citizens, journalists, and civil society organizations to actively participate in the discussion of the draft to enrich and develop it, and we hope the law will be enacted in the first half of this year so that all segments of society can exercise their right to know, which will contribute effectively to the promotion of freedom of expression in Palestine. Israel's threats against a Palestinian television station in Tulkarem forced its management to stop broadcasting, a Ramallah-based Palestinian media rights group reported Thursday. Mada quoted Sheraa TV general director Mohamed Zeidan as saying that it received numerous threats from the Israeli army throughout the week that it must stop broadcasting immediately. The army told the channel that its broadcasts were interfering with communications at its airport in Tel Aviv, according to the official. Zeidan says the channel consulted technicians from the Palestinian Authority's Ministry of Communications and Al-Najah University, who confirmed that the devices do not cause any such interference. After they presented the Palestinian liaison center with proof, the Israeli military dropped its claims and said that the broadcasting was interfering with an Israeli TV broadcast, according to Zeidan. “We have taken the decision to stop broadcasting two days ago until we find a solution to this issue, because it is no stranger to the occupation authorities to raid media outlets and confiscate broadcasting equipment, which cost us a fortune,” Zeidan said. Mada, the rights group, condemned the pressure on the station. "We call all countries and human rights organizations, to pressure Israel to respect freedom of expression, and a commit to international laws and agreements signed with the Palestinian National Authority," it said. Israel's military did not immediately respond to an email seeking comment. The Israeli Occupation Authorities (IOA) have renewed the journalist Mohammed Mona's administrative detention for six months few days before his release. Family sources said on Wednesday that IOA renewed the administrative detention of Mohammed Mona, Quds Press reporter, for six months, stressing his lawyer's intention to file an appeal against the Israeli decision. 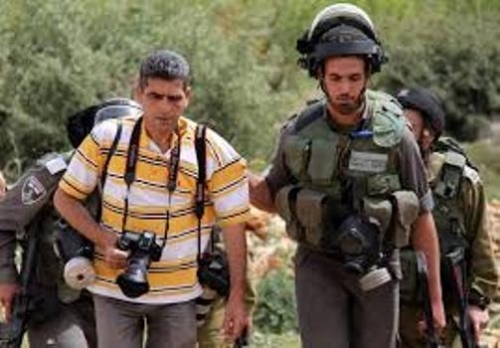 The journalist Mohammed Mona was arrested on the 7th of August, 2013 by Israeli occupation forces after raiding and searching his home during which some of his personal belongings were confiscated. Mona was arrested four times by the occupation forces and he spent five years in Israeli jails. He was also detained in PA jails more than once. 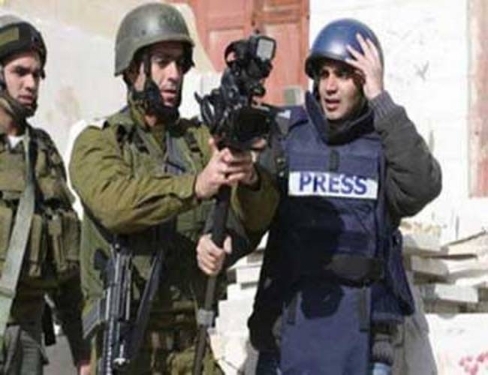 Israeli occupation forces committed 16 violations against Palestinian journalists since the beginning of 2014, Government Media Office(GMO) reported. According to the monthly report of the GMO, the Israeli troops arrested four journalists in the West Bank. The journalists are: Mohammed al-Dik, Ahmed Tala’at, Osama al-Shobaki and Labib Jazmawi. Two cameramen were also arrested: Abdul Hafiz Hashlamoun who works for European News Agency and Ahmed Mezher, works for Wafa agency. Israeli occupation renewed the administrative detention for the fifth time to journalist Osama Shahine, works as a director in the Palestinian prisoner center, the report said. They summoned journalist Amar Mona for interrogation, exiled Ata Oweisat after assaulting and beating him, and refused the petition introduced by journalist Mona asking for releasing him. 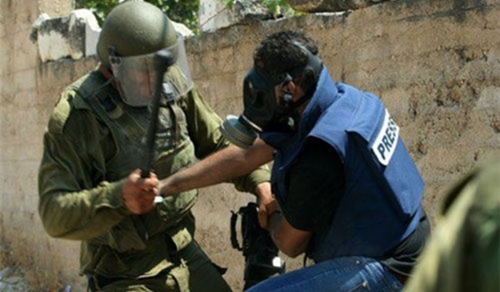 Seven journalists were injured by the Israeli coated bullets and poisonous gas. The journalists are: Abdul al-Hakim Abu Riyash, works for Alray Agency, Khald al-Sabagh, worksfor AP, two cameramen Mohammed Yasin and Ayman al-Nubali, both work for Wafa agncy,and journalist Ja’far Ishtiya, works for AFP. Israeli troops assaulted freelance journalist Solaiman Khadr from Jerusalem and a goup of journalists work for al-Jazazera including Elyas Karam. On a related context, the IOF attacked on Friday 24th January 2014, the French agency photographer Jafaar Ishteya, when he was covering the Kafir Kadoum village north of West Bank weekly demonstration against the wall and the stelment. Ishteya reported to MADA that "During our coverage of the Kafir Kadoum weekly demonstration, as usual we stood on a specific side to be clear to the army that we are journalists so we don't get targeted. I was wearing the appropriate journalist attire a phosphoric painted jacket with the word "press" written on it, since this morning, a soldier got out from behind the wall and began firing volleys of tear gas by an automatic weapon on journalists, I raised my hand to my face for protection but got slammed and was hit by a bomb in my right hand, the injury was minor, and I have received treatment. This was my first injury. Israeli army soldiers Sunday prevented cameramen working for WAFA News Agency and Associated Press from covering events in the village of Wad Rahhal near Bethlehem where settlers proceeded to raze a Palestinian-owned land. WAFA’s correspondent said soldiers detained them for hours and attempted to seize their cameras in order to delete the photos they had taken of the event. Canadian Prime Minister Stephen Harper visited Bethlehem and Ramallah on Monday as part of a four-day visit to the Holy Land. Harper met with President Abbas in Ramallah, where he was received in an official ceremony. Abbas and Harper inspected the honor guard as delegations from both sides met. A Canadian business delegation accompanied Harper and will meet with their Palestinian counterparts to discuss join ventures and investments, official news agency Wafa reported. 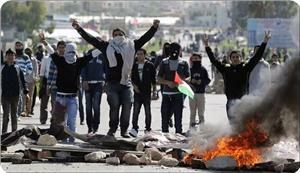 It is expected that Harper will pledge over $60 million to support the Palestinian private sector. 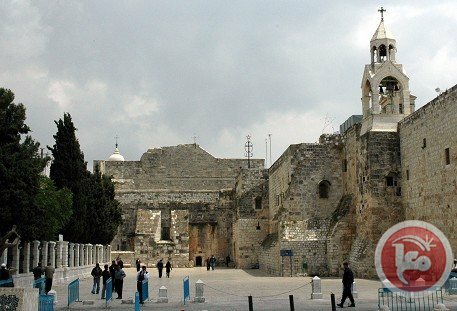 Earlier, Harper's visit to the Church of the Nativity in Bethlehem was mired in controversy as local journalists claimed that the premier's bodyguards assaulted them as they tried to cover his visit. Cameraman Mousa al-Shaer told Ma'an that it was agreed that Harper and his entourage would enter the church first, with journalists following afterwards. However, the Canadian premier's bodyguards prevented local journalists from entering the church and assaulted them in the process, al-Shaer said. The Palestinian Union of Journalists said that one journalist was punched in the face and Amir Hijazi, who works for a local TV station, was hit with a metal object. The union urged all Palestinian journalists to boycott Harper's visit to Palestine and called on the Canadian premier to issue an official apology. A number of Palestinian citizens suffered from suffocation on Wednesday during clashes that broke out in the southern region of al-Khalil, between Israeli occupation forces (IOF) and inhabitants. Eyewitnesses told PIC that IOF soldiers fired tear gas canisters and metal bullets at the citizens and schools students, leading to the outbreak of confrontations during which a number of citizens and students suffocated from gas inhalation. They added that the soldiers provoked the students by assaulting them and detaining them at a military checkpoint nearby, and charged the soldiers with firing tear gas grenades on a daily basis even without clashes. Meanwhile, the Israeli occupation authority on Wednesday morning deployed its troops and several military vehicles near the settlement of Beit Haggai, established on Palestinian lands south of the city of al-Khalil, eyewitnesses told PIC. They said that the military vehicles roamed the bypass road adjacent to the settlement, while the soldiers intensified their presence at a military checkpoint that was set up at the entrance to Harayeq village that leads to al-Khalil city. The witnesses added that IOF soldiers are used to search and detain the passers-by at the said checkpoint that has been recently reopened after a closure that lasted for years. The IOF arrested at dawn Wednesday five Palestinian citizens from al-Khalil; including the journalist Osama Shweiki, Yamamah local radio director, after raiding his house, local sources said. They added that the detainees were transferred to the Israeli interrogation centers under the pretext that they are wanted for the intelligence service. Israeli soldiers confiscated on Wednesday, the camera of researcher Khaled Maali from Salfit, while he was filming the mosque that was burned by Israeli settlers in Deir Istiya village Wednesday morning. Maali said that the soldiers prevented him from reaching the area or filming the Mosque, though he showed one of the soldiers his press card. He added that one of the soldiers saw him filming the mosque and tried to prevent him from doing so, yet Maali continued filming the place when the soldier confiscated his camera and erased the pictures. A Palestinian civil rights monitor condemned Palestinian security forces for allegedly detaining photographers and deleting video footage off their cameras during recent protests in Ramallah. The Palestinian Center for Development and Media Freedoms (MADA) said that the actions violate "freedom of opinion and expression," and demanded authorities "enable journalists to exercise their professional duty freely," in a statement released on Sunday. According to the statement, "members of the Palestinian National Security and the police detained Raya Media Agency photographers Samer Nazal and Shady Hatem," while they were covering clashes between security forces and residents of al-Jalazun refugee camp on Sunday. Security forces confiscated their cameras during the detention. Photographer Samer Nazal was quoted by the statement as saying: "After about a quarter of an hour they returned our cameras, but they deleted all footage and told us not to capture the faces of the security men or film their attacks on the people of the camp." Clashes broke out in Ramallah on Sunday as part of a series of solidarity protests against UNRWA policies that have been held across the West Bank in recent weeks. 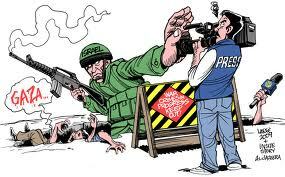 The Palestinian Center for Development and Media Freedoms (MADA) monitored numerous attacks by the Israeli Occupation Forces "IOF" on Media Freedoms during December 2013 in Palestine, included assaulting and detaining journalists. The most notable and dangerous attack was a head injury of Alshera TV cameraman Ahmed Qadura in Tulkarem city. December also witnessed a notable decline in the number of violations committed by Palestinian, and MADA monitored two violations in the West Bank and one in Gaza Strip. MADA condemns all violations against Palestinian journalists, and stresses on the need to end the attacks and to hold the aggressors accountable, especially the IOF, for its continued violations, stressing that the IOF attacks pose a threat on journalists lives. The Israeli Occupation Forces IOF detained a large group of journalists and media students during their return from a media tour of the northern Jordan Valley and Nablus to Ramallah city. They were released after about an hour and a half of standing in the cold and under the rain on Wednesday 4th December 2013. The IOF also detained Palestine Public TV crew (Yara Alfares/ Correspondent, Salah Alhindi/ Cameraman, Iyad Albargouthi/ Driver) while they were at Ein Yabrood Village east of Ramallah city, and after an interview with the head of the village council about village land confiscation in the village, on Tuesday 10th December 2013. On Thursday 19th December 2013, the Israeli border guards detained the Anatolia Agency photographer Moath Meshaal and Raya FM Radio photographer Samer Nazal at Za'atara checkpoint between Ramallah and Nablus. In the context of physical attacks by the IOF, Palestine TV crew (reporter/ Ali Dar Ali, and cameraman/ Fadi Jayyousi) suffered a severe suffocation after the IOF targeted them directly with gas grenades while they were covering the weekly peaceful demonstration in Bil'in village west of Ramallah on Friday 6th December 2013. The Israeli police attacked the Yediot Ahronoth newspaper photographer Atta E'oissat (43 years), while covering clashes between Palestinians and settlers who repeatedly invaded Al-Aqsa Mosque in Jerusalem city, on Friday 6th December 2013. A week later he was charged with assault on a police officer and he was prevented from entering Al-Aqsa Mosque for two weeks. The IOF threw a sound bomb on Alshera TV cameraman Ahmad Qadurah (22 years), while covering the occupation forces raiding of Al-moqata (Palestinian Authority Headquarters) in the city of Tulkarem, wounding his head and needed four stitches, on Tuesday 17th December 2013. The IOF also assaulted Anatolia Agency photographer Moaath Meshaal and the French Agency photographer Abbas Momani while covering the weekly peaceful march in the village of Nabi Saleh south west of Ramallah city. on Friday 27th December 2013. 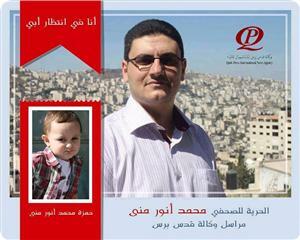 The Palestinian intelligence service in the city of Salfit north of West Bank summoned columnist Khaled Ma'ali to their headquarters on Saturday 21st December 2013, where he was interrogated about his journalistic work and the articles he writes. In Nablus city, a person pointed a weapon at the office manager of "Nada for press and media" Hamdi Abu Dheer (27 years), after a verbal altercation that occurred between them during the presence of Abu Dheer in the governorate office in order to cover a conference on sick prisoners, on Thursday 26th December 2013. The internal security of Hamas government in Gaza city prevented a meeting called by the journalists' Syndicate with the official media sector employees, (Wafa News Agency, Palestine Public TV, and Al Haya Al Jadeda newspaper) in order to discuss the last government in Ramallah decision to cut bonuses and transportation compensation for government staff in Gaza, on Sunday 29th December 2013. The members of the Palestinian National Security and the police detained Raya Media Agency photographers Samer Nazal and Shady Hatem, during their coverage of clashes between security forces and residents of Jalazoun Refugee Camp south of Ramallah, who closed several entrances of Ramallah city, in protest against the strike of UNRWA employees for more than 40 days, The Palestinian Center for Development and Media Freedoms (MADA) said in a press release Sunday. Nazal told MADA that he was covering the event with his colleague Shadi Hatem, during which the security police men approached them, and confiscated their cameras. "After about a quarter of an hour they returned our cameras, but they deleted all footage and told us not to capture the faces of the security men or film their attacks on the people of the camp," Nazzal added. MADA condemns this violation that is against the Palestinian Basic Law, which guarantees freedom of opinion and expression and demands the authorities to enable journalists to exercise their professional duty freely. The number of Palestinian journalists held in Israeli jails has increased recently to reach 14 detained journalists after the arrest of a journalist on Monday. The Israeli occupation authorities arrested on Monday the journalist Mohammad Omar al-Deek, 23, from Kafr Naima town west of Ramallah, after breaking into his father's house. Palestinian Journalists' Union expressed deep concern over the dangerous escalation in Israeli crimes and violations against journalists' rights in total disregard to the international conventions and laws that guarantee freedom of the press. The Union called on the Israeli occupation to immediately release the 14 Palestinian journalists detained under flimsy pretexts, and asked international institutions topped by International Federation of Journalists to pressure the Israeli authorities to put an end to journalists' arrest and detention. Israeli occupation forces arrested on Monday at dawn a Palestinian in Ramallah in the West Bank. Local sources reported that the Israeli troops raided a houses belonging to Omar Al-Dik in Kafer Qasem village and detained his son,23. It is noteworthy that Al-Dik studies “ International Studies” at Beir Zeit University. 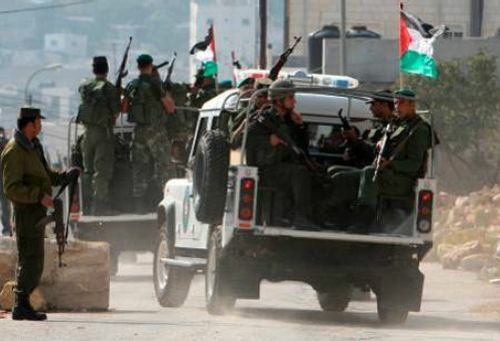 Dozens of Israeli soldiers invaded the Kufur Ni’ma village, west of the central West Bank city of Ramallah, and kidnapped a Palestinian journalist. Local sources have reported that the soldiers violently broke into the house of Mohammad Omar Ad-Deek, 24, searched the property, causing excessive damage, and kidnapped him. The Cultural and Central Media Committee of the Popular Struggle Front, said that the abduction of Ad-Deek, is another assault against the Palestinian journalist and Freedom of Speech. 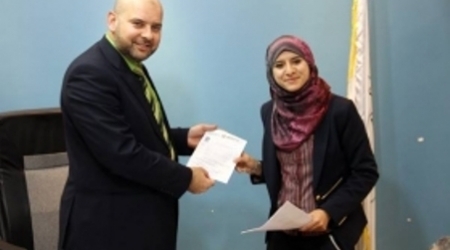 It said Ad-Deek is one of its members, and a student of the Democracy and Human Rights Department of the Birzeit University, near Ramallah. He has a degree in Journalism and Political Science. Hasan Sheelo, secretary of the general committee of the Palestinian Journalists Syndicate, said that Israel is ongoing with its violations against the Palestinian people and journalists. He added that Israel is currently holding captive twelve journalists, and is holding them under arbitrary Administrative Detention orders, without charges. Sheelo demanded human rights groups, and the International Journalists Federation to intervene, and secure the release of all imprisoned reporters. 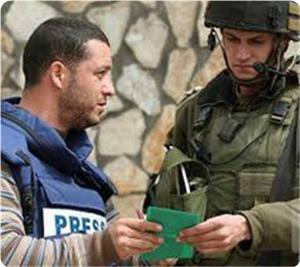 The Israeli occupation forces (IOF) carried out more than 230 violations against Palestinian journalists in 2013, the information center of the Palestinian government in Gaza stated in a report. According to its report, 2013 saw many violations against media freedoms in the occupied Palestinian territories at the hands of Israeli soldiers and security men from the Palestinian authority in an attempt to conceal the truth. These violations included physical assaults, arrests, direct attacks with tear gas and bullets and administrative detention. The IOF and the PA security apparatuses also prevented a number of journalists and media figures from traveling to receive medical treatment or to cover Palestinian events. 87 arrest incidents were reported during the year and 14 journalists are still under administrative detention without charges in Israeli jails. 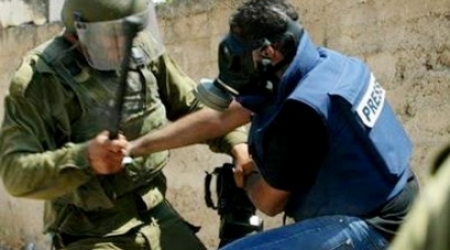 Palestinian media forum strongly condemned the escalation of Israeli occupation's attacks and abuses against Palestinian journalists during the last days of 2013. The forum, in a statement on Wednesday, reviewed the most prominent violations during the last days of 2013, pointing to the occupation forces' attack on photojournalist Suleiman Khader while he was covering the process of the release of Jerusalemite prisoners at the eastern entrance of the town of Issawiya. It also reported that three Palestinian journalists were injured last Friday afternoon during their coverage of the anti-apartheid wall marches in Bil'in and Nabi Saleh in the West Bank. 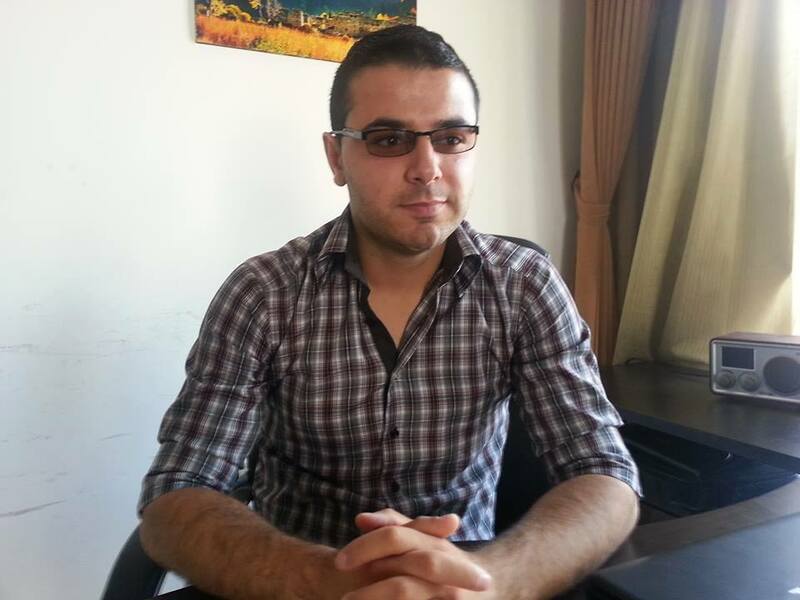 The forum also pointed out that the occupation intelligence service has continued the investigation with the journalist Bilal Dofesh from al-Khalil, who works in the field of photography and the production of documentaries, despite his serious health condition. It stressed that these systematic attacks come within the context of failed attempts to terrorize the Palestinian journalists and prevent them from exposing the Israeli authorities' crimes in the occupied West Bank. Palestinian media forum asserted that the silence of the international community has encouraged the occupation to continue attacking and detaining the Palestinian journalists under the illegal administrative detention policy. It also expressed surprise at the silence of the relevant international organizations, such as the International Federation of Journalists and Reporters without Borders, vis-à-vis the occupation crimes, and demanded them to intervene in order to stop these crimes and release the detained journalists. 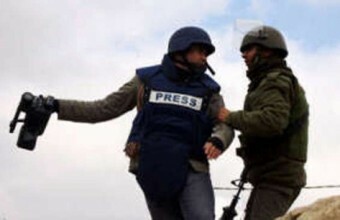 December 2013 witnessed a significant escalation against Palestinian journalists in the West Bank and Jerusalem, the Government Media Office(GMO) in Gaza reported. The GMO documented, on its monthly report, 42 violations in December 2013 against journalists. The IOF arrested four journalists while they were performing their duty in covering Israeli soldiers and settlers violations ; and they are Zied al-Shoibi, Ahmed Zyiada, Sabrin Dyab, and Ammar As’ad. 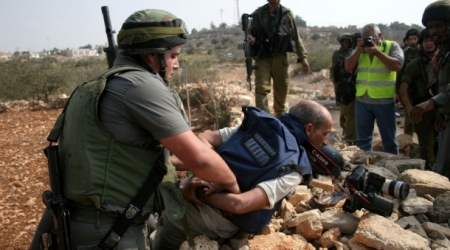 They also held 30 journalists on Hiwarah checkpoint in Nablus and they were subject to humiliation and inspection. The report mentioned that eight journalists were wounded by Israeli gun shots or by inhaling tear gas. The journalists are Fadi al-Jayosi, Ali Dar Ali, Abbas al-Momni, Moa’z Meshal, Moahhmed Yasin, Manal Tamimi, Belal Dofsh and Sabrin Dyab. The report also referred to humiliation cases against journalists where as Israeli soldiers forced the journalist Moa’mer Awad from Jerusalem to take off his cloths.